Not to alarm anyone but...there has been a dragon sighting at school! On Thursday morning, we were informed by the school caretaker that something unusual had appeared on the school field. We went outside to check and on closer inspection, it dawned on us that it could be a cracked dragon egg! We recorded the facts and kept checking the school grounds for any further evidence as the day went on. 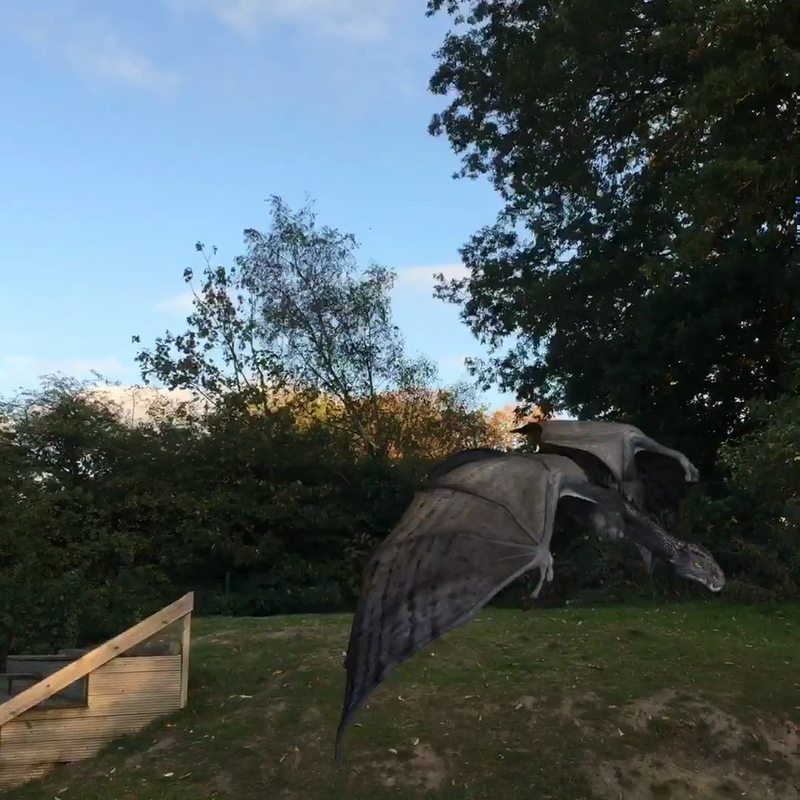 On Friday morning, we decided to review the school CCTV footage and amazingly, we spotted a dragon hovering over the school field. We were unsure as to whether it was the dragon from the egg or if it was a returning dragon looking for the egg (and its contents!). To inform the rest of the school about the recent events, we created 'Have you seen...' and 'Missing!' posters. Next week, we are going to be developing our understanding of how to write a newspaper report as I'm sure there are people that want to hear our story! In Maths, our focus was rounding numbers and reading scales. We used Rounding Slopes to help us round numbers to the nearest multiple of 10 and 100. Towards the end of the week, we used our estimating skills to record the length and mass of objects using various units of measurement. Next week, we are going to be developing our understanding of how to add numbers mentally. In P.E. this week, we thoroughly enjoyed developing our hockey skills with Coach Graham.